The Tonlé Sap is unusual for two reasons: its flow changes direction twice a year, and the portion that forms the lake expands and shrinks dramatically with the seasons. From November to May, Cambodia's dry season, the Tonlé Sap drains into the Mekong River at Phnom Penh. 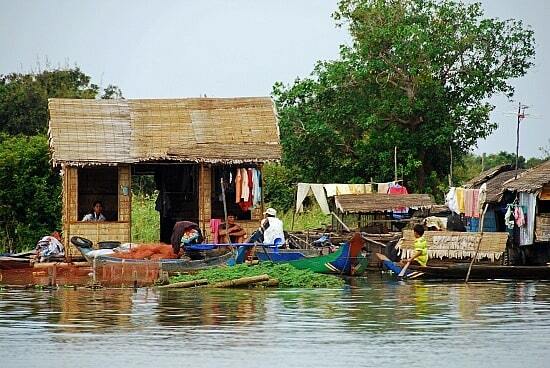 However, when the year's heavy rains begin in June, the Tonlé Sap backs up to form an enormous lake. For most of the year the lake is fairly small, around one meter deep and with an area of 2,700 square km. During the monsoon season, however, the Tonlé Sap river, which connects the lake with the Mekong river, reverses its flow. 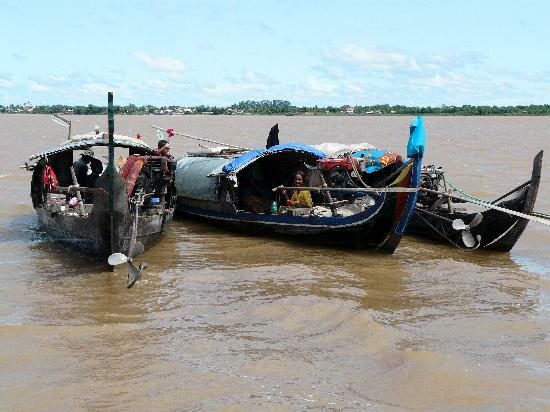 Water is pushed up from the Mekong into the lake, increasing its area to 16,000 square km and its depth to up to nine meters, flooding nearby fields and forests. The floodplain provides a great breeding ground for fish. 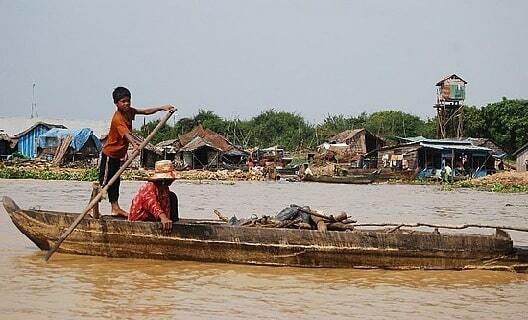 People live in floating houseboats as well as in stilt houses on the Tonle Sap. 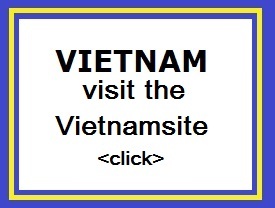 They include Muslim Cham people and migrant communities from Vietnam. Their whole life revolves within this unique ecology above the tea-coloured waters of the lake. Some people in these areas and are allowed to fish in them according to fishery law in Cambodia. Illegal fishing and poaching are major problems which threaten the fish population. Cutting of the flooded forest to make room for farming is also a serious issue. Many of the people who live around the lake are extremely poor and depend on it for their livelihoods. There is also a famous sporting event. The Water Festival is held to celebrate the reversal of the waters back into the Mekong and normally takes place in October or November. 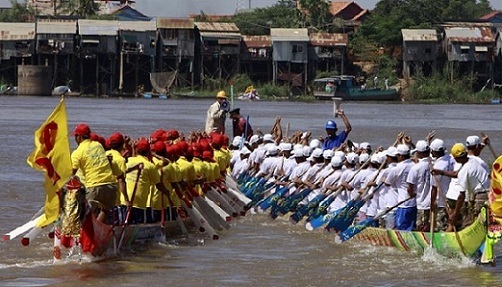 Millions of people travel from the provinces to Phnom Penh so they can participate and watch the boat racing. Teams from every province and many villages compete against each other in canoe style boats that they make themselves and decorate to represent their homeland. During the first two days the boats race in pairs but on the third day all the boats join together for a mass race. The festival and the boat racing is all done in order to pay respect to the river god who in turn will provide the country with a plentiful bounty of fish and rice for the rest of the year. During the week of the festival the entire country stops working and Phnom Penh fills up beyond capacity with people sleeping in the streets and cars unable to drive anywhere near the river.